On Aug. 1, the company announced a joint venture with Produced Water Transfer and Complete Vacuum and Rental to create a new company to be called PWT. This new company will focus on saltwater transportation and disposal services to the oil and gas sector. 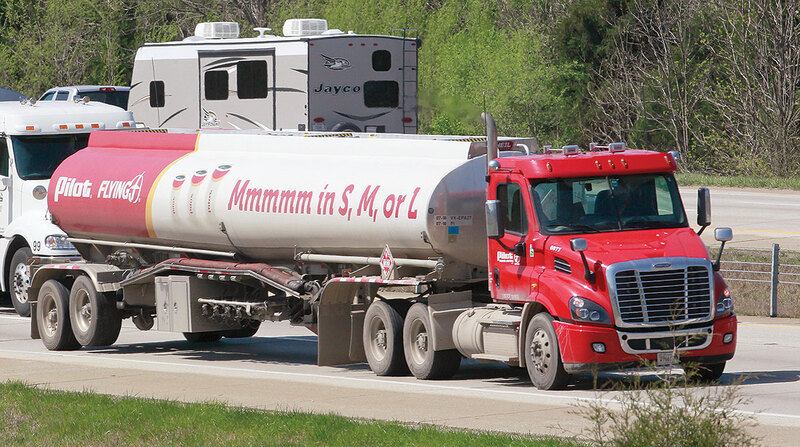 In July, Pilot Flying J through the joint venture purchased two North Texas companies from Ferrellgas Partners LP — Bridger Environmental, a saltwater transportation and disposal operation, and Bridger Transportation, a crude oil transportation business. The transaction will make Pilot Flying J one of the largest third-party crude-hauling fleets, with more than 500 trucks serving the oil and gas industry. The deal also includes 10 saltwater disposal wells and two crude oil pipeline injection terminals in Wyoming. Knoxville, Tenn.-based Pilot Flying J operates 750 retail travel centers in North America in 44 states and a host of other trucking industry-related businesses, including roadside assistance, tire sales and 72,000 parking spots. It also has the fourth-largest tanker fleet in the United States. It is boom time in the domestic oil industry. According to the U.S. Energy Information Administration report released Aug. 7, crude production is expected to average 11.7 barrels per day in 2019. That is about 1 million more barrels than the nation’s oil fields are averaging now. Pilot Flying J said its new venture will mean at least 200 to 250 new drivers once the venture is up and running. With the trucking industry now short more than 50,000 drivers, according to American Trucking Associations, Pilot Flying J said finding qualified drivers, many of whom are working in the industry for other companies, may prove to be a challenge. Financial terms of the agreement were not announced, and no management changes are anticipated.